As a member of the Brentwood Chamber of Commerce, you are entitled to advertise your event on our website for FREE. Not only will your business benefit by getting an extra Google boost…but we’ll also promote your event to our 1,000-strong Twitter following! 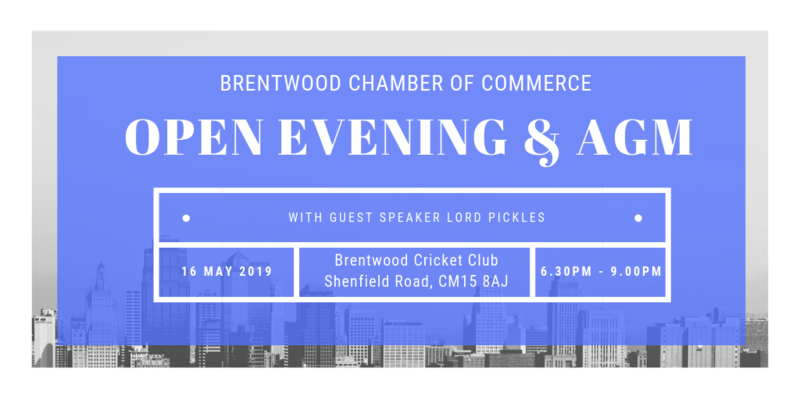 This service is available only to current, fully paid up members of the Brentwood Chamber of Commerce. All events must have a start and end date. All decisions made by the Chamber’s editorial team are final and binding.